Did you know that Santa’s elves LOVE selfies? Picture yourself with an Elf! The Lethbridge Chamber of Commerce is partnering with the Downtown BRZ to bring you the first Annual Christmas sELFie Contest! Santa's helpers are coming to businesses throughout Lethbridge. 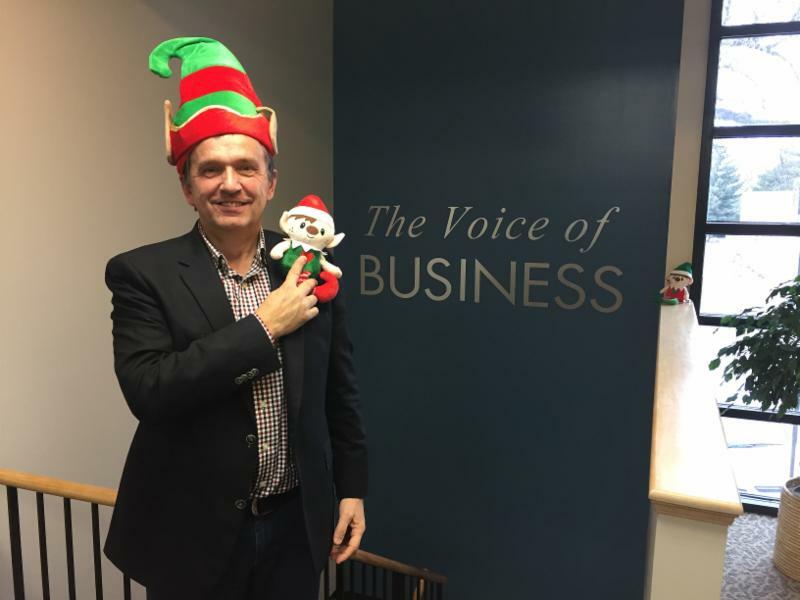 From Nov. 18 through Dec. 17, the Lethbridge Chamber of Commerce and Downtown BRZ are presenting the Picture Yourself with an Elf sELFie campaign. The sELFie contest will kick off on the evening of the Bright Lights Festival and run through to December 17th. Visit downtown businesses in search of a Christmas Elf and take your sELFie! sELFies must include proof of the location in which they were taken and be posted on Facebook, Twitter or Instagram with the hashtag #yqELF. Prizes will be awarded every day of the contest from one of the 26 participating businesses! Get pictures with 10 elves for your chance to win an Elf on the Shelf! A full list of businesses is available on our Elf Hunt Map. You can also download the Chamber App from the iTunes and Google Play app stores to hunt for elves throughout the city.